Another pattern for many nice items for your sewing room! Includes a wall organizer, ironing board cover, sewing machine cover, serger cover, sleeve board cover, pressing ham, seam roll, travel sewing kit, letter bag and 3 pincushions. 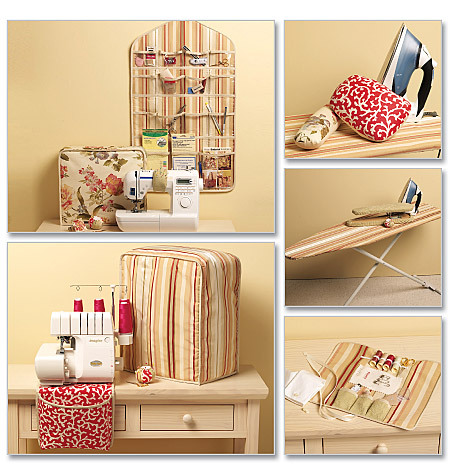 A complete pattern for your sewing room!